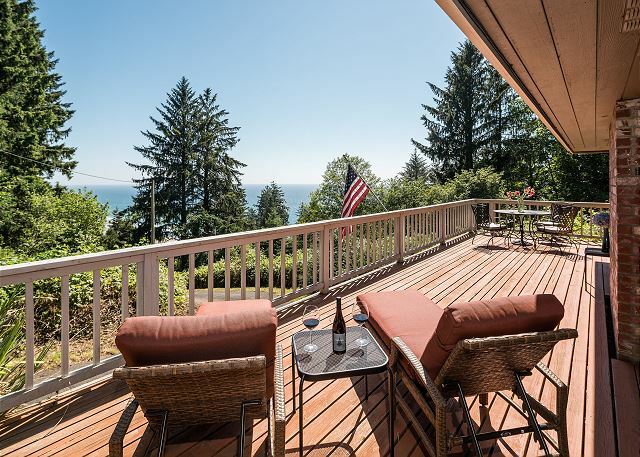 Take in unforgettable sunsets over the Pacific on Neah-Kah-nie Treasure’s expansive sun-drenched deck — perhaps from the soothing comfort of your private hot tub, with a glass of local wine in hand. Peaceful surroundings are sheltered from the wind and visited often by enchanting wildlife. 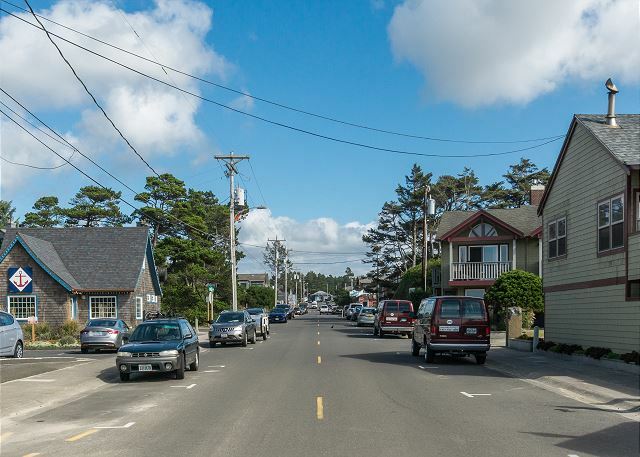 Though you’ll feel far away from all your cares, the town of Manzanita is within a couple miles and the beach awaits just beyond a hillside meadow. A basket filled with delectable local treats welcomes your arrival, courtesy of Starfish Vacation Rentals. 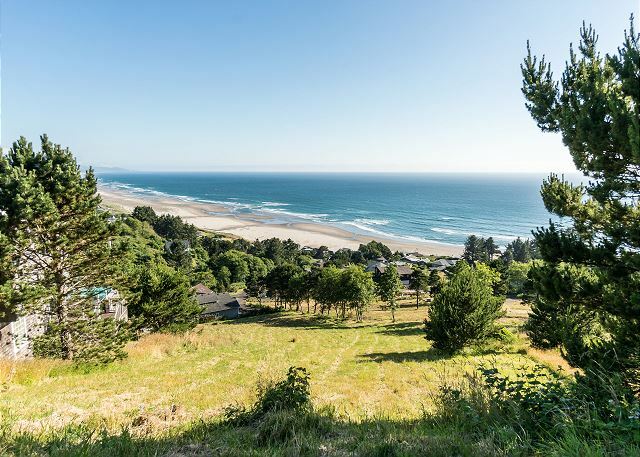 When it’s time to venture to the seven-mile sandy beach, pack a picnic and stroll through the exclusive and picturesque Neah-Kah-nie Meadows neighborhood. 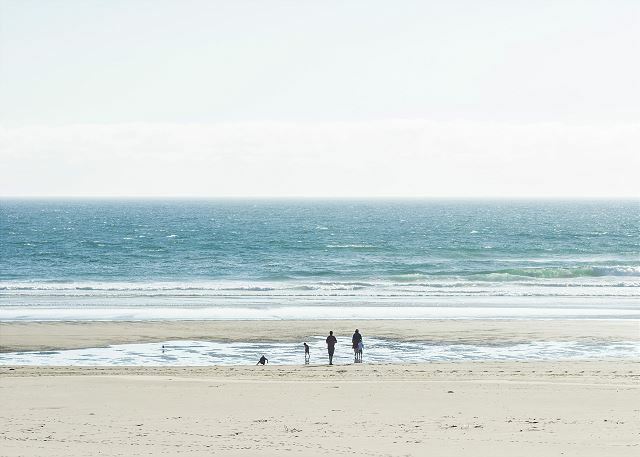 The 20-minute trek to the ocean rewards in views alone. 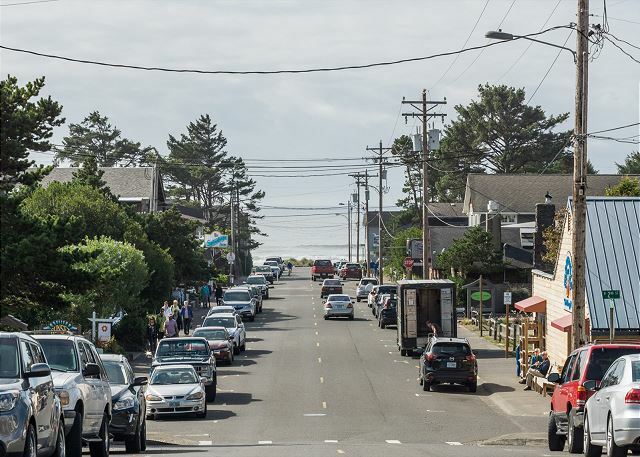 A quaint town teeming with galleries, boutique shops, cafes, and lovely restaurants, Manzanita will beckon you back again and again. Pick fresh produce at the farmers’ market in summer. Dine at Blackbird for a deliciously memorable meal. 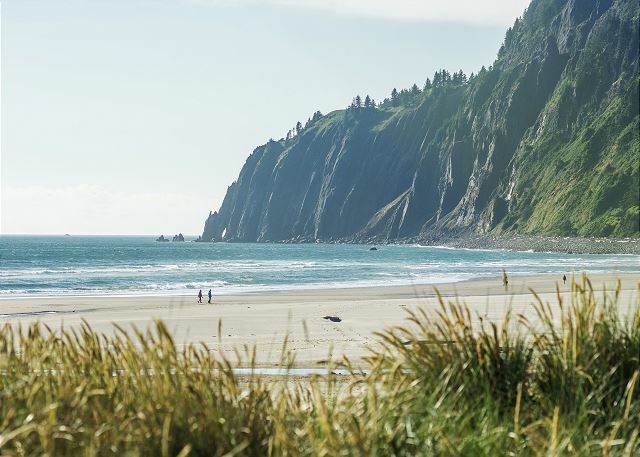 Outdoor adventures include anything from horseback riding to clamming to kite surfing, and Short Sands beach, popular with the local surfers, is only a few miles up the highway. 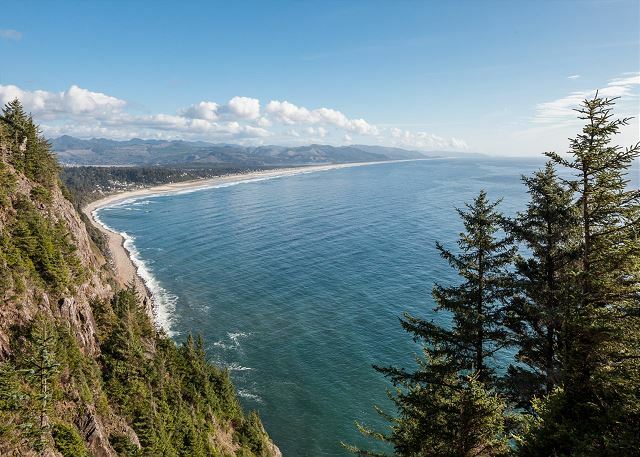 Stunning hikes along Neahkahnie Mountain are within walking distance, and a day trip to Astoria promises rich local history and microbreweries aplenty just over 60 minutes away. 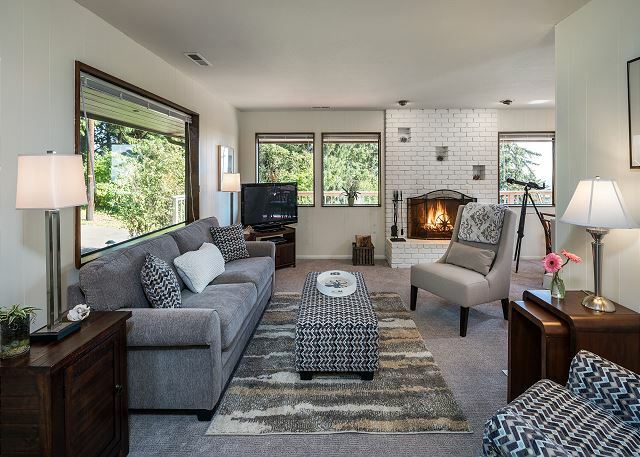 Let the tranquility of Neah-Kah-nie Treasure restore you with unforgettable Pacific sunsets, starlit nights in the hot tub, and a good vacation read by the fireplace. Beautiful, private home with gorgeous views of the ocean. 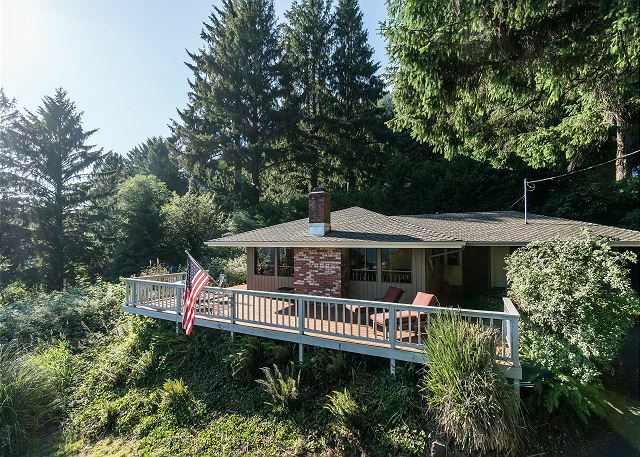 This was our second time visiting the Oregon Coast and we stayed at this house both times. We loved the cozy beds, location and the hot tub was lovely! We have recommended this place to many of our friends. Such a great getaway with our family. Perfect spot for a relaxing weekend for two. Four people could fit comfortably, but it was just me and my husband. 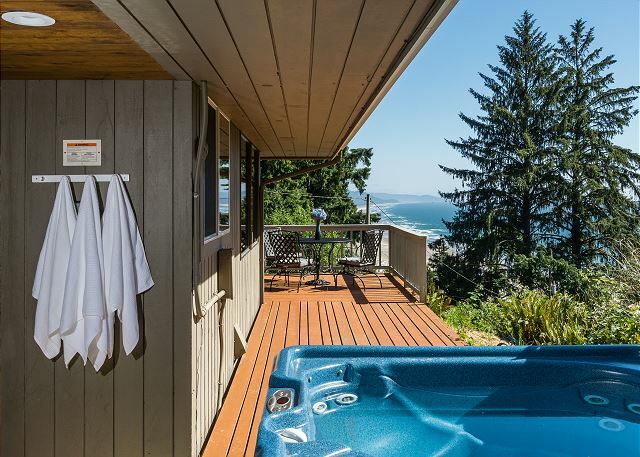 We enjoyed the hot tub, with the simple assist bar to easily remove the cover, and the view of the Manzanita coast below from the deck and hot tub. Immaculately clean with lots of little extras, we found it welcoming and comfortable, Angela was so friendly and gracious when we spoke it was nice knowing we could call if we needed anything. 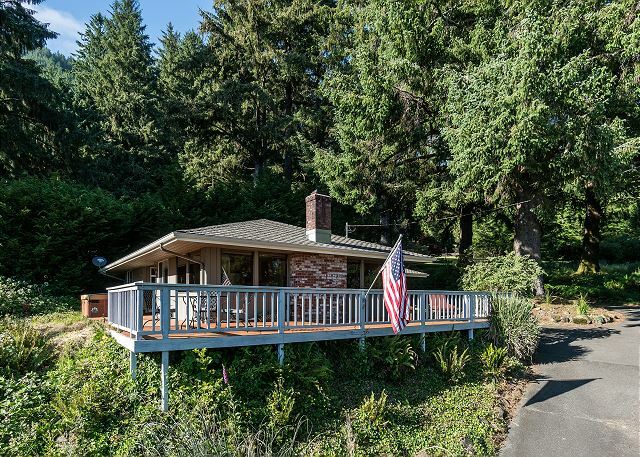 This location is private and secluded, even though there are neighboring homes within sight, they aren't really visible from the living spaces or the deck/hot tub, it's very quiet up here. 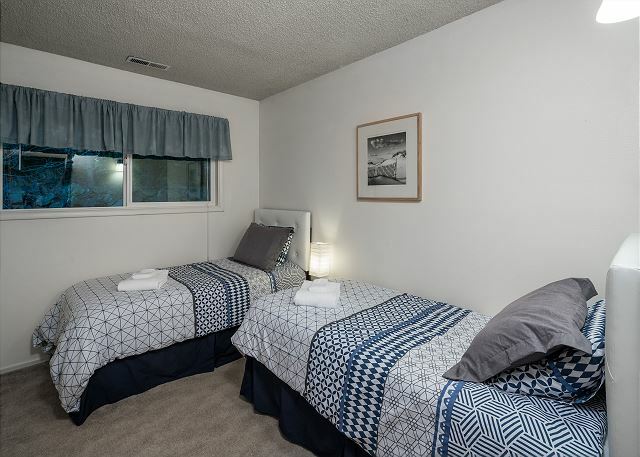 Starfish Rentals is a great place to rent through. This home is tricky to find at night, but once you do, you won't forget it. The hot tub and views are AMAZING from the deck. Location is great for sight seeing and restaurants. Thank you! Manager Response: Thank you for staying with us! We're thrilled to hear you enjoyed your time at Neah-Kah-Nie Treasure! 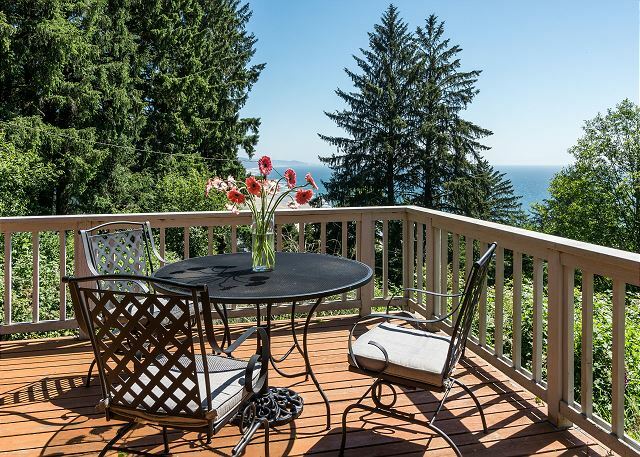 It can be a bit tricky to find, but the location provides privacy and unforgettable views of the Pacific and Neah-Kah-Nie Mountain. It was our pleasure to have you in our home. We celebrated our 25th wedding anniversary here. (This was our first time away from our nine children.) It was perfect. The setting was peaceful, private, and beautiful. The house was very clean and comfortably furnished. Everything worked the way it was supposed to—hot tub, wifi, etc. Both of us were really refreshed by this relaxing time. We are already looking at booking dates again next year at Neah-Kah-Nie Treasure. 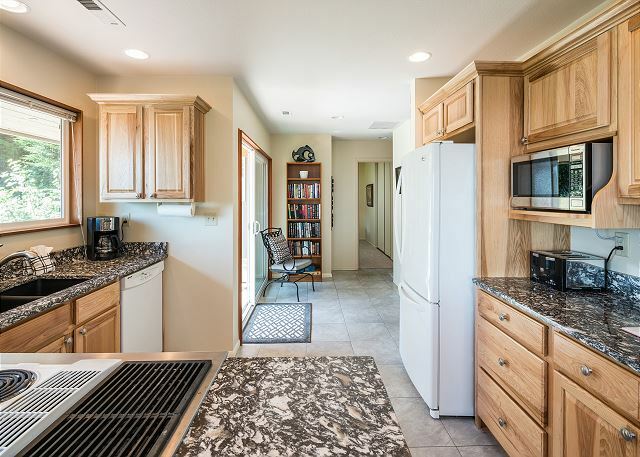 This house is in a quiet residential area just north of Manzanita and is perfectly located for a range of activities. The property was clean and well layed out. I am giving the overall stay 4/5 stars for one reason that is important to me, but may not be to others. I enjoy watching TV while lounging in bed. There is no TV in either bedroom. With this simple fix, this place would easily rate 5/5 for location, quietness, view, cleanliness and ease of access. This place was fantastic! Everything we were hoping for! Manager Response: Thank you for your positive feedback. 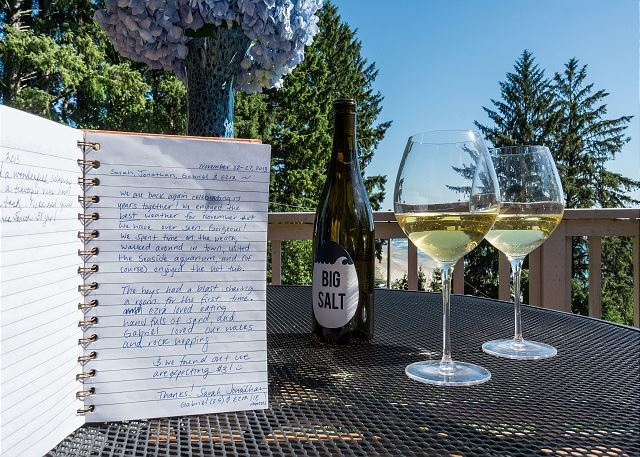 Total guest satisfaction is our top priority at Starfish Vacation Rentals and your review helps us to know we're achieving our goals. We hope to welcome you back again soon! My husband and I loved our stay. It is a perfect location to watch the ocean and enjoy the lovely weather. We would visit again! Manager Response: We are thrilled to read that you and your husband enjoyed your stay at Neah-Kah-Nie Treasure. 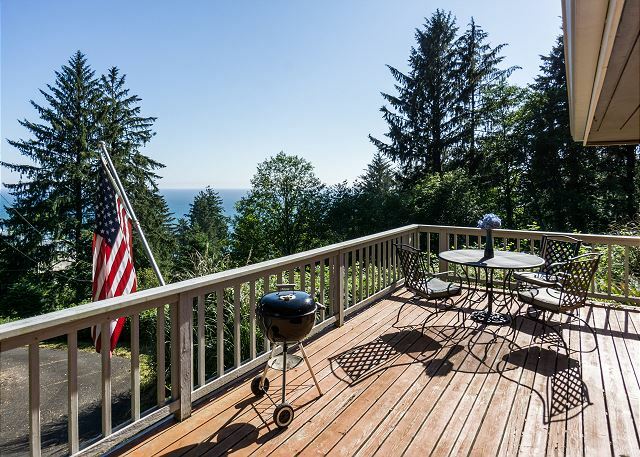 The views are incredible and the home offers complete privacy (we'd like to take credit for the beautiful weather too!!). We hope to have you back as our guests again soon. This was the perfect house for the four of us - me, my husband, and my two kids 8 and 12. It felt remote and serene. The hot tub was perfect after a day of hiking the trails. You can see the beach downhill and a little less than a mile away. There is a path to the beach but it isn’t an easy walk with steep grades. We did it but we drove to Manzanita beach to avoid the steep uphill climb back after doing it once with the kids. 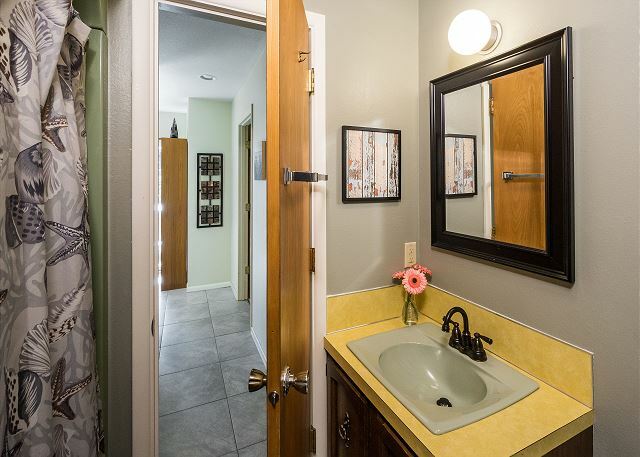 The washer and dryer aren’t accessible inside the house - you have to open the front door but it’s right there. Not a problem for us but the weather was perfect when we were there. 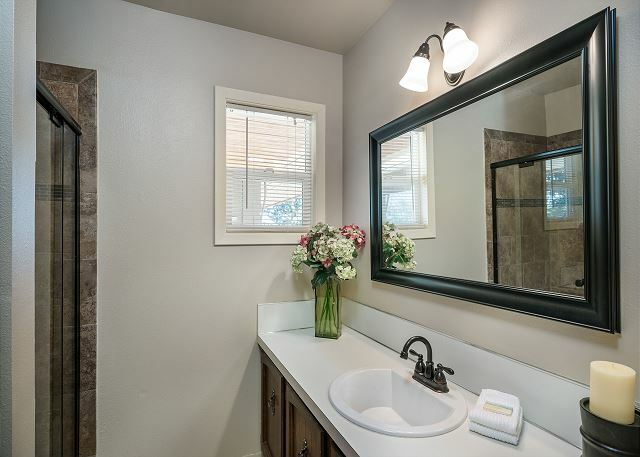 The place was clean and the management company as very responsive land professional. Manager Response: Thank you for taking the time to share your feedback of your stay at Neah-Kah-Nie Treasure. 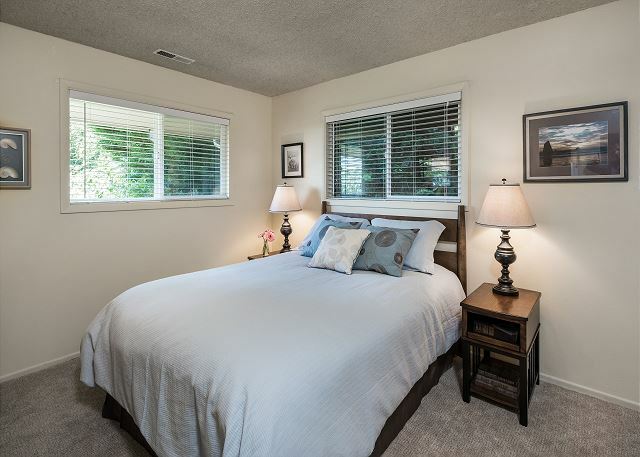 We are thrilled to hear that you had a wonderful stay in this private location and that you and your family enjoyed the special qualities of the home and our services. We at Starfish Vacation Rentals would love to welcome you back for another stay in the not too distant future. The weather happened to be amazing when we visited, which helped I'm sure, but we so enjoyed our little beach home away from home. It is a true getaway. There are houses nearby, but with all of the trees and bushes you can barely see another building. The hot tub was heated perfectly and easy to use, the view from the deck can't be beat. 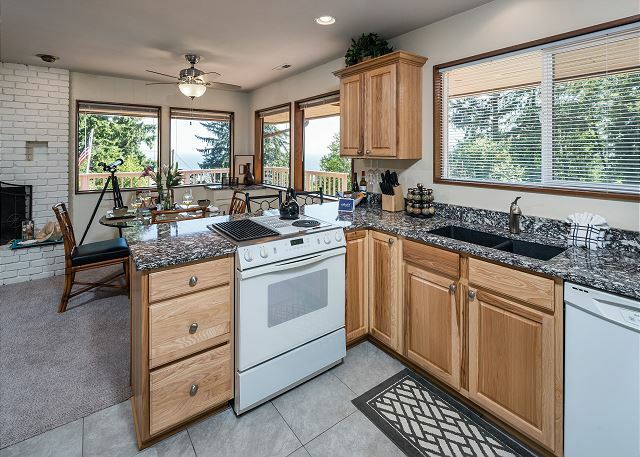 We spent a lot of time outside, but the inside of the house was clean, and the kitchen had all the tools and amenities we needed. We did have an issue one night when the key code on the door didn't work, but the property management company were true professionals: they responded quickly and helped us right away. We would certainly stay again. 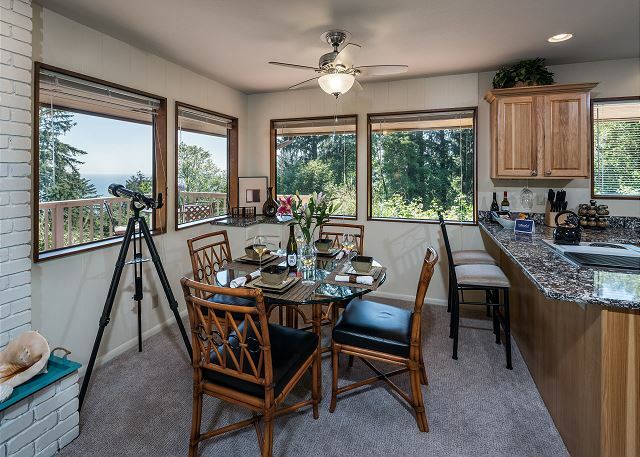 Manager Response: We are so pleased that you enjoyed your vacation at Neahkahnie Treasure, so much so that you extended your stay (and our door code system hadn't caught up with that last minute we're happy our we were able to get you right back in). 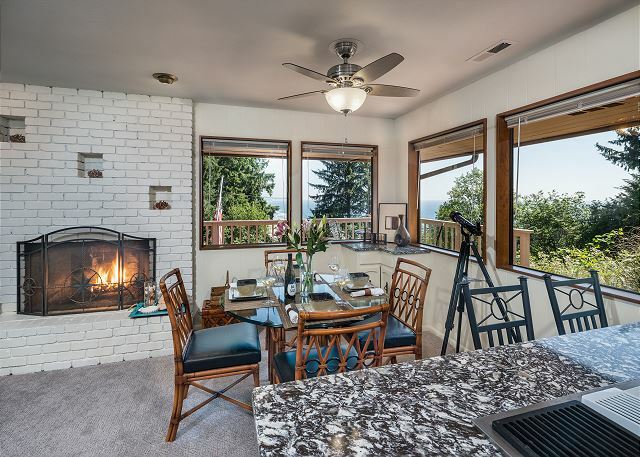 Your review touches on all the special features of this home - very private and peaceful, yet not remote, amazing views from the deck, and a home that is well-supplied just like your own home. We hope you'll return for another visit soon! if you're looking for a quiet place on the coast this spot is perfect! Clean, comfy, quiet and with a great view. 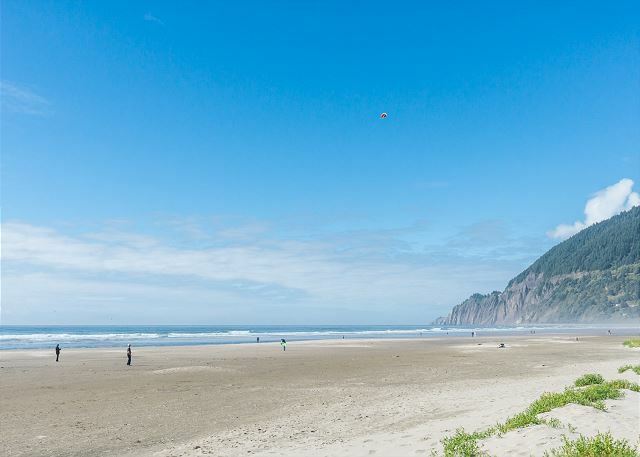 Our family of four truly enjoyed our stay and the location was perfect for hiking, beach sunsets and Manzanita shopping.